Cult pop hero Ben Folds announces a date at Liverpool Philharmonic this June with Ymusic, Getintothis’ Craig MacDonald has all the details. 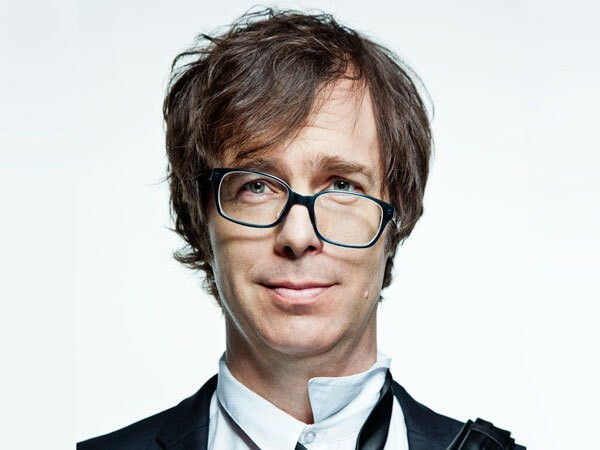 Bespeckled musical behemoth Ben Folds will be making a long overdue return to Liverpool this summer, when he brings his new tag team partners Ymusic to the Philharmonic Hall for a stop on his UK tour on June 15. Hailed as one of the greatest songwriters of our times by some for his phenomenal repertoire of material over a career spanning 25 years, Ben Folds is a man who takes dexterity to a new level with each release he brings to the musical world. Having first come to light as the lead man in Ben Folds Five, the songwriter went to playing solo like a duck to water and continued to explore his musical talents as he went from releasing beautiful pop records to playing with symphony orchestras via Star Trek man William Shatner. Shatner wasn’t the only Star Trek man to go into music. Find out more here. His latest offering, So There, was released to critical acclaim last September and saw the North Carolinian hook up with New York instrumentalist group Ymusic. Together, the pair have created a set of exceptional chamber music tracks as well as a piano concerto, which will no doubt find a suitable home in the surroundings of the Hope Street venue later this year. Having worked with the likes of Sufjan Stevens and The Staves, Ymusic are exceptional musicians in their own right but the pairing with Folds is a relationship truly to cherish as they blend pop and classical music effortlessly together. It will be the first appearance in town by Folds since he last played the Academy in 2008 and one appearance worth the wait.